The man accused of causing the crash that killed two Meriden elementary school students and injured their parents and half-sibling could face additional charges if blood alcohol tests reveal he was driving under the influence, authorities said. Israel Gonzalez, 29, is being held on a $1 million bond in connection with the Nov. 3 crash. Immigration officials said they plan to take custody of Gonzalez because he is not a U.S. citizen. Gonzalez is suspected of drunken driving and investigators are waiting on test results to determine whether additional charges will be filed. So far, he’s charged with evading responsibility, reckless driving and driving without an influence. Police said Gonzalez fled the scene on foot and used multiple names and IDs. 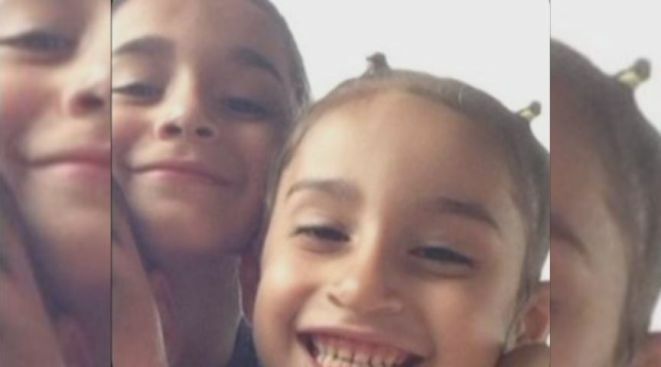 Two children, 5-year-old Tatiana Cruz and 8-year-old Lorenzo Cruz, died in the crash. Both attended Israel Putnam Elementary School. The children’s parents, Michael Cruz and Gina Schroder, and Schroder’s 12-year-old son Alejandro, were injured in the crash. According to a family member, Cruz was treated and released, and Gina Schroder is conscious but is due for surgery on Wednesday. As of Sunday, Alejandro Schroder was in the intensive care unit. Police said Gonzalez smashed into the family’s Subaru early Sunday morning at the intersection of Broad Street and Gale Avenue. “On their way home they stopped at a light and next thing you know, my little niece – the 5-year-old was singing a song to her mother – and she said the next thing you know, she felt the impact,” Valentin said. Police said they hope to have results from Gonzalez's blood alcohol test by the end of the week.